in 2006 when he asked the state for an absentee ballot to vote in the Republican primary. In order to keep himself from being cut off from stories for a week by the Palin "communications" machine, Cockerham also wrote, "It is a little hard to read." Not on the important element, Sean. Juneau Democratic Party rules prohibit their recommending somebody who has not been registered as a Democrat for at least a year for any office. Grussendorf only re-registered as a Democrat once word was out that Sen. Kim Elton was slated for a job in the Obama administration. The Juneau Democrats cannot accept or recommend this man by their rules. For Alaska Democratic Senators to accept Palin's recommendation would create a volatile situation. Meanwhile, one of my Juneau informants tells me that when Shannyn Moore tried to corner Mike Doogan today in Juneau, he locked himself in a rest room. I can't wait to find out the real story from Shannyn. Update - 10:00 p.m: Two Juneau phone calls later. #1 - Shannyn says the hallroom chase with Doogan is far more hilarious. She has it on tape. Can't wait! #2 - (not Shannyn) Sarah's Grussendorf slice of stale bread is toast. Not even close to marketable. Yesterday the Anchorage Assembly voted to cut funding for Anchorage schools by $3.8 million. 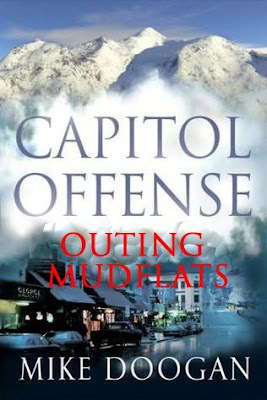 On July 20, 2004, the Anchorage assembly, voted to exempt developers John Rubini, Leonard Hyde, and Ted Stevens brother-in-law Bill Bittner from the requirement to pay property taxes on one thousand and sixty-eight housing units they own. Each housing unit is worth about $170,000. They received the units almost for free, compliments of Uncle Ted and they collect over a half million dollars per month in rents. If their units were taxed at the same rate every other apartment owner in Anchorage pays, each unit would produce about three thousand dollars per year for the Anchorage treasury. 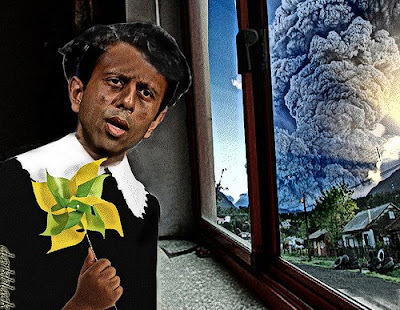 Three thousand dollars times one thousand and sixty eight units could be producing over $3.2 million per year for the Anchorage treasury, but the Anchorage assembly would rather kiss Rubini's a - - than educate your kids. I haven't even used three asterisks for the volcano. Go to The Mudflats, go to the Mudflats store and support my great, courageous friend!!!! (I'm still saving some up....) If you don't want one of these T-shirts, they have high rubber boots there, for when you go to GOP political events, for instance. No mention of the Drift River Terminal situation, but her talk is primarily about the importance of comprehensive monitoring, how well it has worked in this set of eruptions, and plans for improvements to the system. Saradise Lost - Book 2 - Chapter 37 - "She Was a Mail-order Bride..."
Maybe Mike has inspired a new mystery story? What will he call it? My dear friend, political soprano Deborah Fink, joined others today in London to perform music of peace, in a benefit for the Al Ahli Hospital in Gaza, and for Intergratsia School in Israel. It was in the glorious acoustic environment of St. Marlybone Parish Church, on Baker Street. 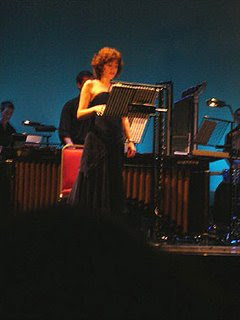 Ms. Fink was joined by Siobhan Mooney, a rather political mezzo-soprano, Richard Black, piano, and Rev. Garth Hewitt, on guitar. His Grace, Bishop Riah Abu El-Assal, former Anglican Bishop of Jerusalem, gave a keynote speech. In it, Dr. Abu El-Assal detailed the rebuilding work at the Al Ahli Hospital in Gaza, and integrated education efforts of Intergratsia. Baroness Jenny Tonge and Dr. Ang Swee, who founded ‘Medical Aid for Palestinians’‚ also spoke of ongoing relief and integrated peace efforts between Israelis and Palestinians. 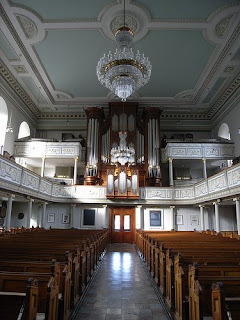 Here's a picture of the sanctuary of St. Marlybone, known for its choice acoustics. Father. That father. The other father. Mind of that power. The very idea! Crush her back in to her mother! Crush her. Crush her. Consensus. War. I've been on the phone this morning, getting information on how the Alaska Democratic Party is reacting to Mike Doogan's placing himself in potential legal jeopardy. All I can say at this point is that Democratic Party of Alaska rules don't touch this subject explicitly, and that I've voiced my concern to state headquarters in Anchorage. I've explained that there needs to be a firewall between Doogan's potential liability and our Party. Trust me, Alaska's Democratic Party understands. Meanwhile, Doogan has not removed his Friday letter from the Alaska Legislative Democrats' web site. And, it should be noted that the akdemocrats.org site has nothing to do with Alaska's Democratic Party or the Party's leadership. It is a separate entity. So, Lisa Murkowksi's popularity exceed Palin's by almost 12%. Additionally, Palin's negatives exceed Murkowski's by 20 points. I am extremely disturbed by the actions of your colleague Representative Mike Doogan. Doogan’s outing of Mudflats is extremely unethical and probably illegal. That he used state resources-legislative email account, state time, his constituent email list, etc. justifies the legislature taking prompt action against him. The tradition of anonymous speech is older than the United States . Founders Alexander Hamilton, James Madison, and John Jay wrote the Federalist Papers under the pseudonym "Publius," and "the Federal Farmer" spoke up in rebuttal. The US Supreme Court has repeatedly recognized rights to speak anonymously derived from the First Amendment. The Supreme Court opinion is righteous and rooted in precedent and history. Representative Mike Doogan was irresponsible, unethical, illegal and blatantly wrong in his callous disregard for anonymous free speech. His ill-thought action is rooted in malice and envy and demonstrates he is absolutely and unquestionably unfit for public office. This is an extremely urgent and important non-partisan legislative issue. It requires the highest and swiftest punishment that can be dealt to a sitting legislator. Please demand the immediate resignation of Representative Mike Doogan. 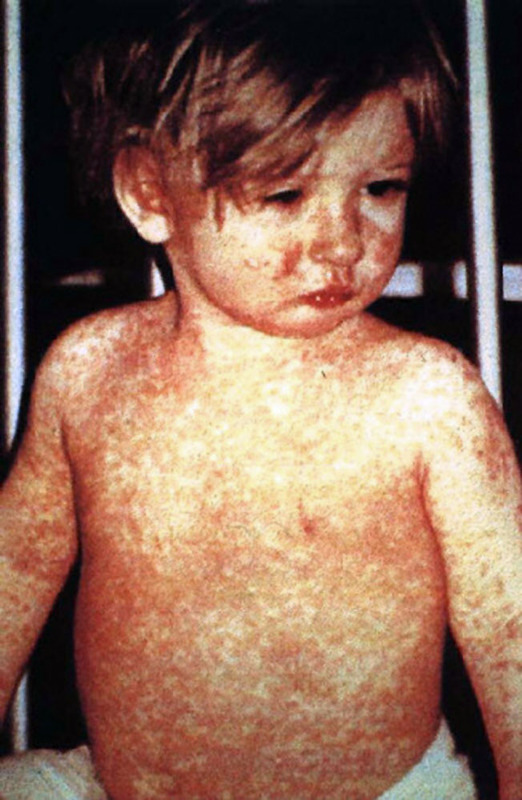 In the wake of the 20th anniversary of the Exxon Valdez oil spill, apparently we have learned NOTHING. Chevron has left 6 million gallons of oil in harms way, atop our Cook Inlet fisheries. 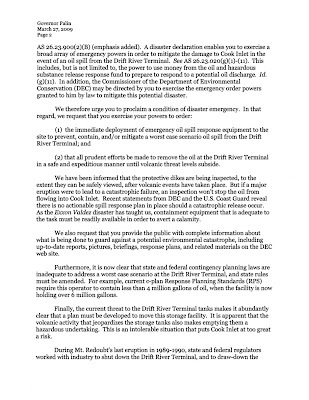 Yet Chevron, the Coast Guard, EPA, ADEC all agree on one thing: we do not have the capacity to clean up 6 million gallons of oil in Cook Inlet. It’s true. The barge capacity to lighter spilled oil in Cook Inlet is only half the volume in the tanks - 3 million gallons. So what’s the response plan? 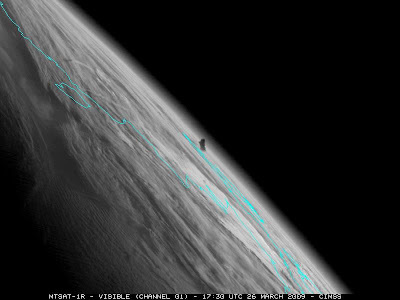 The Coast Guard said on Friday “we’re working on it.” Seriously. They have no actionable plan to response to a worst case spill. Instead, they have a crop duster and several thousand gallons of dispersants to push the oil out of sight/out of mind. And the primary focus from the USCG and Chevron now? Get the facility back into production. Don't stop the flow of oil. Risks to fisheries are secondary to profits in Cook Inlet. And don't forget - Chevron dumps BILLIONS (yes, BILLIONS) of gallons of toxic waste into Cook Inlet fisheries each year under a Clean Water Act loophole. 2) position spill response equipment so we’re ready in case things turn south. 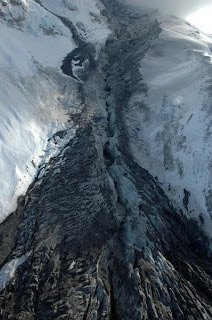 image - View up the Drift Canyon and the central ice gorge carved by floodwaters. Posing below AK Muckraker (upper left) are Independent Commentator Shannyn Moore, Alaska Report Editor Dennis Zaki, and gadfly-blogger Phil Munger. Notice the snarky smile on AK Muckraker's face. 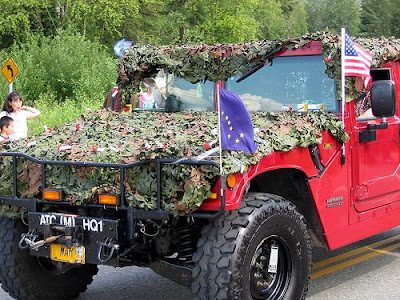 Seriously, what has happened since Alaska Legislator Rep. Mike Doogan (D-Spenard) used state and party resources on the morning of March 27th to reveal the identity of Alaska's most prestigious anonymous blogger, has been remarkable. 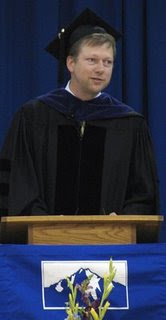 As figures representing the expiring paradigm of elitist journalism (Amanda Coyne, Tony Hopfinger and Sheila Toomey, for example) have come forward to defend Doogan, without any reference whatsoever to possible legal questions regarding Doogan's move, commenters at their articles have been surprisingly supportive of the longstanding concept of anonymity. On Friday, from 8:00 a.m. to 7:45 p.m. I was assisting at the registration and resource tables for the Alaska Press Club annual conference, being held at the Anchorage Senior Center. The story of Doogan's e-letter seemed to grow during the day, as an emerging low-key background buzz. For good reason, Doogan is held in high regard among members of the Alaska Press Club. But I sensed growing concern among journalists I spoke with, who have covered constitutional, privacy or civil rights issues. When I got to the annual journalists' bash at the Anchorage Press offices, I was immediately assailed by my good friend, Amanda Coyne. 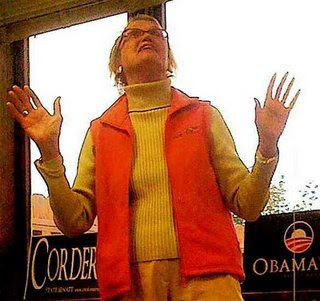 Right away, she was jumping me for cussing out anonymous commenters at Progressive Alaska. She was right that I have done that. And I have challenged the courage of some anonymous commenters, who made baseless assertions or accused me of having done or written something particularly egregious. I responded to Amanda that I'm not concerned about knowing who a commenter is, but rather find it difficult dealing with a number of people who want responses from me on an issue, and are each signing on as "anonymous." I couldn't tell one anonymous from the next. All I usually wanted was for the commenter to create a nom de blog - a pseudonym. I've used a purposeful pseudonym locally. I signed in to KUDO's old forum as "Gustav." 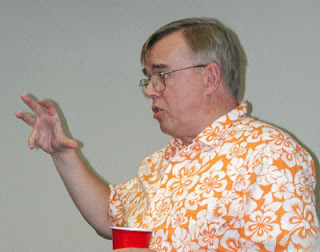 I mostly showed up there to defend people like Richard Mauer against Jack Frost. I also am registered at the Anchorage Daily News as "niklake," which the early on-line ADN automatically took from part of my email address. When I post what some might consider a significant comment at an ADN article, I usually sign my real name at the bottom. If I'm merely making an observation, niklake will do. It's certainly easy enough to find out who "niklake" is. I've known AK Muckraker since the August 26th Alaska primary election. AK Muckraker came up to me at the Egan Center gathering, saying warmly, "Hi. I'm "Mudflats." In September we got to know each other much better, at dinners, rallies and other gatherings. 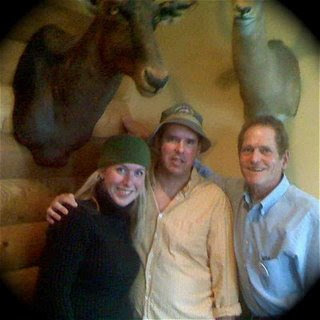 My admiration for AKM grew, as several of the Alaskan progressive bloggers became a fairly close-knit group of friends. We shared resources quite openly, understanding the whole time the importance AKM placed on anonymity. Did I feel a tinge of jealousy when the Mudflats became a national phenomenon? Yes, I did. But I'm quite happy with PA being what it is - a little Alaska blog, presented from my quirky set of perspectives. Many have asked me, "Who is Mudflats?" Most were less rude than was Rep. Doogan, when I declined to provide information. Throughout the fall presidential campaign and the current legislative session, we Alaska bloggers have witnessed the decline in jobs in regular media, and its impact on the ability of traditional outlets to track Alaska politics and other issues important to our state and its diverse regions. We've applauded efforts by regular media outlets to try to focus on growing problems with diminishing means. I've answered every one of the dozens of questions posed to me by regular Alaska reporters, working on a story. And I've been helped in my efforts to learn more about a host of issues, by several mainstream reporters. Doogan's lashing out at AKM has been characterized by some of the thousands of commenters at the stories on his action, as a sign of his anger at new media for displacing what he cherishes. Sheila Toomey's meretricious item about this in today's Alaska Ear column is just as pathetic, if not worse. After all, Toomey did exactly as Doogan is complaining AKM shouldn't be allowed to do, for years. She made scores of thousands of dollars doing it. Right across the newsroom from her, sat Mike Doogan, who knew exactly who she was, what she was doing. The lack of concern for the Doogan-Toomey connection in Coyne's article troubled me over the weekend. As several emails from civil rights attorneys, offering to provide pro bono help for AKM piled up in my email box over the weekend, I thought, "This story has national impact, yet all the regular and newly emerging regular media (as in Alaska Dispatch) seem to be able to see are the most superficial aspects of this." Mudflats has compiled many of the articles about this at this link. Doogan sprang this Friday morning. Over the weekend, the only mainstream print coverage of an important emerging civil rights and political issue in Anchorage, was by a gossip columnist. The gossip columnist, who for years was protected, in part, by the person who "outed" the influential blogger, failed to make this incredibly obvious connection in a meaningful way. That in itself is newsworthy. It is interesting that over this weekend of a press club conference, where this story was discussed widely, that it began with the "outing" of a blogger, and ended with the election of one of that blogger's protectors - Shannyn Moore - to one of the Vice President positions of the Alaska Press Club. No doubt, some are spewing their coffee or Irish whiskey, upon reading of Moore's new responsibility. Yet, somewhere else, someone is hoisting glass of tea, a pitcher of beer, or a container of spring water, toasting, "Here's to you, Shannyn!" 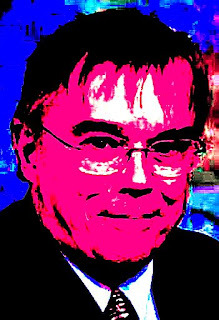 In AKM's new concerns about family and income; in Moore's new worries about press responsibilities in the face of hostility toward new media; and, most likely, in Doogan's several hangovers, as he begins to realize what an awful thing he just did to his legacy, merely to spite somebody who crossed him. 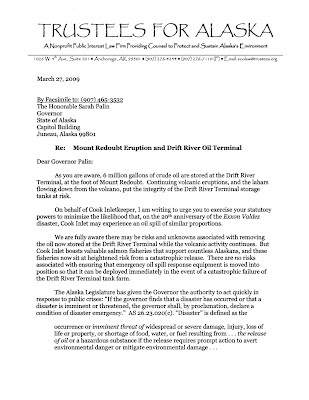 On Friday, Trustees for Alaska filed a petition requesting the governor declare that a disaster is threatened by the continuing presence of six million gallons of oil in the Drift River storage facility at the bottom of erupting Mt. Redoubt. The terminal is situated in the flood plain of a river that has now flooded twice in just a few days. 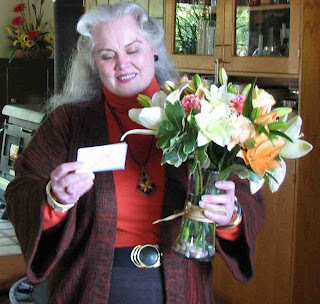 Katie Hurley is the most distinguished elder of the Alaska Democratic Party. OK, along with Vic Fisher. Anyway, Katie will be 88 on Monday. I was fortunate enough to be able to lead about 50 people in "Happy Birthday To You!" for Katie, Saturday evening. Even Wasilla's current mayor, Verne Rupright, stood up to applaud this marvelous woman. I described her upcoming birthday as "44 times two." The image is from the uplifting speech Katie gave last June, at the opening of the Palmer Obama headquarters. The last image is by Bretwood Higman, of erin and hig and the trek from Seattle to Unimak in 2007 and 2008. 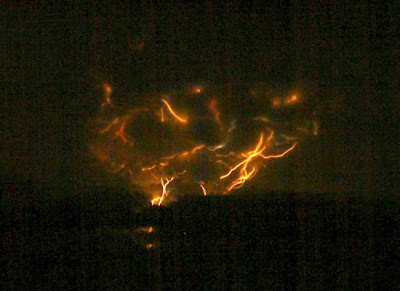 He has posted some of the best pictures so far of the current eruptions of Mt. Redoubt. And the last art featured today, is a recording of my 1993 electronic ballet for robots, Robot Gagaku. 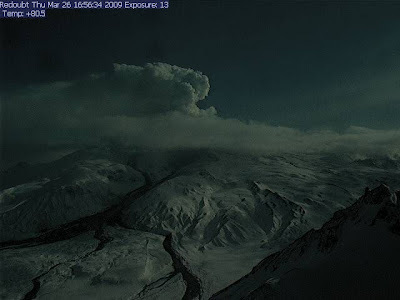 The action takes place outside and inside of Kiska Volcano, and ends in a gigantic eruption. The music to the final part was inspired by Alaska-Washington artist John Hoover's sculpture (in the main lobby of Anchorage's Egan Center), Volcano Woman. The identity of the person who writes the liberal Democratic Mudflats blog has been secret since the blog began, protected by the Anchorage Daily News, among others. My own theory about the public process is you can say what you want, as long as you are willing to stand behind it using your real name. 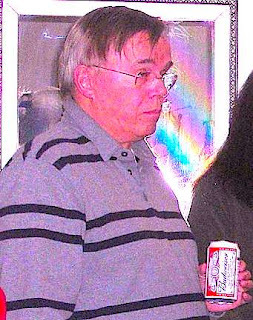 For several years, Mike Doogan knew the identity of Anchorage Daily News figure "Alaska Ear." During several of those years, Doogan worked near that person, while that person was anonymous. Many people attempted to find out who that anonymous person was. Doogan, who was also then a writer for the Anchorage Daily News, helped protect that person's anonymity. Alaska Ear, every week, hundreds and hundreds of times, commented on politicians in ways that anonymously criticized Alaska political figures. 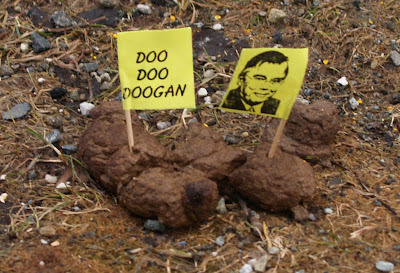 Yet Doogan wrote to a constituent yesterday, "I don’t believe in anonymity in the political area. It’s too much like people wearing sheets and hoods for my taste." Did Doogan out Alaska Ear? No. did he protect Alaska Ear's anonymity? Yes. 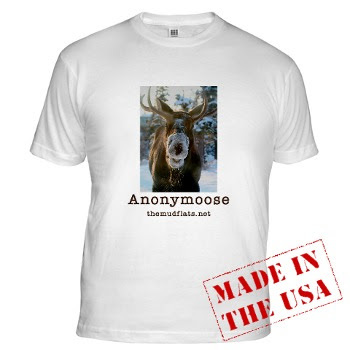 Anonymous speech over the internet is entitled to First Amendment protection. Reno v. ACLU, 521 U.S. 844 (1997). A legislator or legislative employee may not use government assets for his/her own, or another person"s, private benefit, for a non-legislative purpose or for partisan political purposes. Government funds, buildings, equipment, and services should not be treated as the personal possessions of legislators or legislative employees. law or is clearly inherent in the nature of the public servant's office. Sec. 11.56.860. Misuse of confidential information. 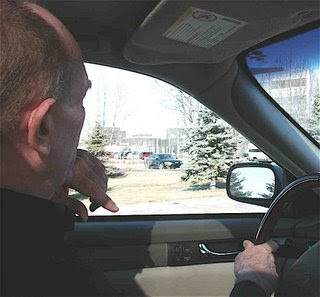 (2) while in office or after leaving office, uses the confidential information in a manner not connected with the performance of official duties other than by giving sworn testimony or evidence in a legal proceeding in conformity with a court order. (b) As used in this section, "confidential information" means information which has been classified confidential by law. 3. He may have broken Alaska's rather easygoing legislative ethics code. i'm still am working on getting the correct citation. 5. He may have violated Alaska Democratic Party rules. More on that on Monday. 1. We'll help protect AK Muckraker's rights. If we need to raise money to help AKM defend a case or business or position, there will be a lot of us there. If we need to hold fundraisers? - believe me, they will be big, fruitful events. 2. We will help AK Muckraker's family. 3. We will pursue the search for informed legal opinions on what violations Rep. Doogan may or may not have committed by his actions Friday morning. 4. We will pursue the search for his accomplice or accomplices. 5. We will request that the Alaska Democratic Party and Alaska Legislature review the possibility that Rep. Doogan has committed violations of rules governing the use of State of Alaska resources in his Friday morning actions. Update - 11:50 p.m. Saturday: Sheila Toomey, at the Alaska Ear, may have just penned one of the most meretricious column entries in ADN history. If the facts about Doogan and Toomey, as I related above and confirmed with several longtime ADN employees today escaped Toomey, it is sad. 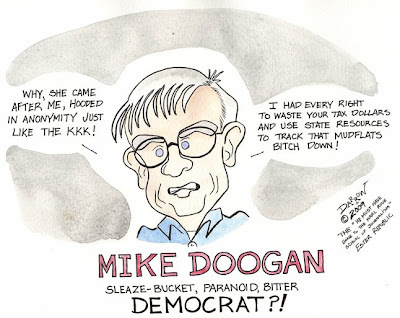 But if she realized Doogan's duplicity, and then penned her entry on the Mudflats case, she's as truth-challenged as her former colleague and accomplice in her longstanding masked activities, Mike Doogan. note: Back in 1990, Toomey penned a column at the ADN under her own name that very cruelly and untruthfully hurt a person under my care. I've helped that person grow beyond the hurt. It is quite sad, 19 years later, to now see her as a probable Doogan accomplice. Update - 12:10 a.m. Sunday: I asked several people who either have worked with Doogan or claim to actually know Billy Muldoon today, if Mike is Billy Muldoon. All said that Doogan is not Billy. Two claimed Billy is "another ex-ADN worker." I didn't take it any further, but the consistency of the statements lead me to believe that Doogan isn't Billy. 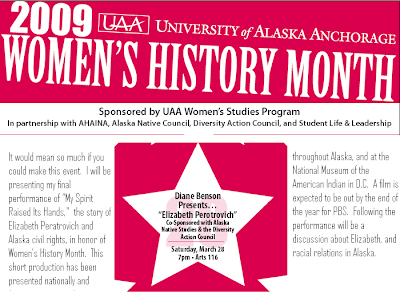 Diane Benson will perform When My Spirit Raised Its Hands this evening at the University of Alaska Anchorage. Her monodrama about Alaska civil rights icon, Elizabeth Peratrovich, will be performed in the Fine Arts Building, in the small recital hall (Room 116) at 7:00 p.m.
That's the view of Thursday morning's big blowup from outer space. Seems small, doesn't it. 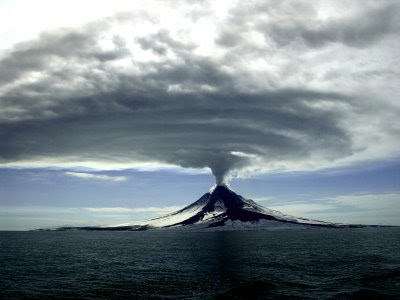 On the 20th anniversary of the Exxon Valdez oil spill, as Redoubt Volcano threatened a long-neglected retainment dike system holding 6 million gallons of crude oil, on Alaska's pristine Cook Inlet, Gov. 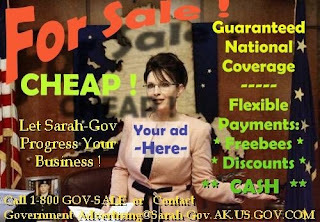 Palin erupted again and again about media unfairness. Both Gov. 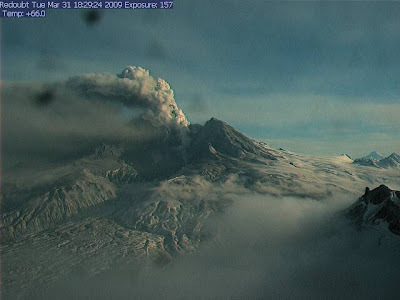 Palin and Redoubt Volcano have been erupting periodically over the past week. 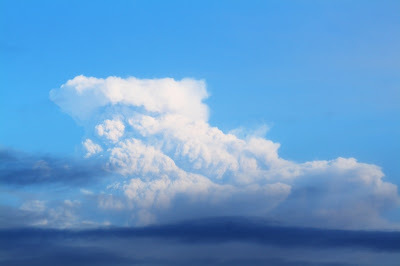 The height of eruptions for both occurred Tuesday, the 20th anniversary of the Exxon Valdez oil spill, and 45th Anniversary of the Great Alaska Earthquake. Linda Kellen Biegel, better known as blogger "Celtic Diva," is filing an ethics complaint with the Attorney General today against Governor Sarah Palin. The complaint alleges a conflict of interest when Governor Palin wore specially designed snow-machine gear advertising her husband Todd's biggest Iron Dog sponsor, Arctic Cat Inc. She did so while acting in her official capacity as Governor of the State of Alaska and official starter of the Iron Dog Snow Machine Race. Not only was she well aware that there would be extensive Alaska media coverage, the Palins also knew that international magazine Sports Illustrated was coming to do a story on Todd. Sarah Palin's first mentor was John Stein. He helped her understand municipal government and basic civics, when she was a member of the Wasilla Planning Commission. John, who at that time was Wasilla Mayor, encouraged Palin to run for the city council. She did that, and won. He continued to help her. In 1994, Scott Ogan, Beverly Masek and Vic Kohring won seats in the state legislature. Coming in on the Newt Gingrich-led "Contract With On America" wave. They replaced Democrats who had ably represented the Mat-Su Valley for years. Kohring inspired Palin. I listened to him describe how he hoped to convince her to run for mayor. He helped craft her campaign. 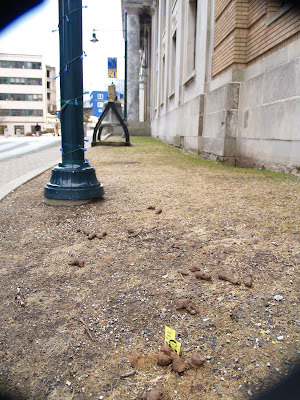 It was the most dishonest municipal campaign I can ever remember witnessing. She dismissed Stein as part of a corrupt "good ol' boys network." A whispering campaign about John's wife and alleged Jewish heritage was conducted with full knowledge of Palin. 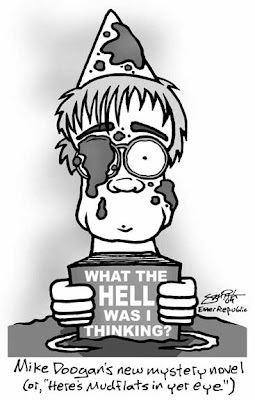 After Palin beat Stein, she not only took full credit for many reforms and improvements Stein had either implemented or begun planning for, she continued to denigrate his accomplishments. She began using terms only Masek and Kohring were using, when describing civil functions. For instance, other than Masek and Kohring, Palin was the only local public official to go around describing public schools as "government schools," in a scornful, dismissive tone. Masek, her former mentor, is facing prison. Kohring, her former mentor and advisor, is in prison. Stein, the person she abandoned, and so dishonestly treated, has gone on to lead a very successful career as one of Alaska's most honored administrators. After her two terms as Wasilla mayor, Palin claimed to have reined in more "corrupt" people - like Randy Reudrich, for instance. However, Reudrich is still - as he was when Palin lied about how she dealt with him - the state chair of the political party she represents. She openly cooperated with him several times during the fall presidential campaign. Palin has recently been forced to return more money to the state of Alaska that she illegally took, than Vic Kohring is serving his time for having gotten from Bill Allen. She was forced to do that a a result of an ethics complaint. To compare Linda Kellen to Anne Kilkenny may be a stretch. I know Linda very well, but have only known her for about two years. I've known Anne for 20 years, but we barely know each other. I've worked with Linda on several projects, though not on this complaint. I'm a member of the Alaska Press Club Board, but missed the meeting at which the decisions about Anne were made that have come under criticism this week. 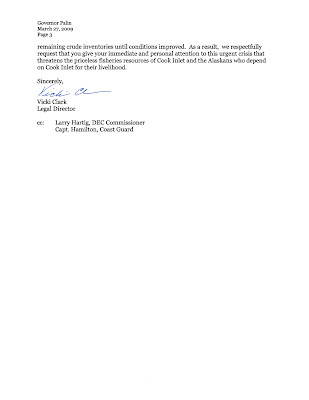 Linda is being criticized for having complained about Palin's self-serving conduct at the start of the 2009 Iron Dog race. Anne isn't being criticized, but the Press Club's elevation of her to an honor, is. Kilkenny was, after all, a runner-up, and awards are seldom given to runners-up (unless they are powerful, vindictive people). I probably would have voted to honor Anne the way she is being honored. Although I don't think I would have joined Linda in this particular complaint, had she asked me to, I'm not sure. I do believe Linda's complaint is fully justified. How best to honor Anne is perhaps another matter. The Anchorage Press' BJ Kelley is working on a feature for Thursday's edition that appears to be, from the questions he is asking, a fairly critical view of the AKPC's decision. Club president John Creed has detailed his reasoning, and Club vice president Rhonda McBride, has written an op-ed that comes down against the Kilkenny decision. Kelley and others have raised an interesting point - was Andrew Halcro considered for this award? I don't remember. Whatever, the First Amendment award is being given to a very deserving couple. Andrew is certainly deserving of an award of some sort. As Kelley observed in an email late yesterday, "I submitted a name (Andrew Halcro's, for breaking Troopergate on his blog) in early December to [name deleted by PA] when she asked if we at the Press had suggestions for potential candidates." My view is that had the Anchorage Daily News, KTUU-TV, the Frontiersman, KMBQ-FM, APRN and others fully covered Palin between 1996 and 2004, there would be no controversy over an award to Anne Kilkenny, or about Linda Kellen's valid complaint. And Andrew Halcro might be Governor of Alaska. Palin is the most polarizing figure in Alaska history. The two distinguished Alaskans she got to write an ethics white paper in early 2007, Wev Shea and Ethan Berkowitz, have come down on opposite sides recently, on issues relating to Palin's ability to do her job, or to understand what the term "ethics" means. I was on Rachel Maddow last night, talking about the efforts of Campaign for America's Future, USAction, blogs and others to push back against Evan Bayh and his coalition of self-described "centrists" who have announced they will join with the Republicans and undermine Obama's ability to use the reconciliation process. As moderate leaders, it is not our intent to water down the president's agenda. We intend to strengthen and sustain it. Who wrote that, Frank Luntz? What a load of horseshit. This is nothing more than a naked power grab by corporatists who use the conservative bent of their districts to push through legislation on behalf of lobbyists and control campaign cash, and become the arbiters of any law that gets through Congress. It's Jack Abramoff/Tom DeLay all over again. Title IV is not the “narrow,” targeted approach to the problems in the mortgage market that proponents claim. Although an attempt was made to narrow the focus to “subprime” loans, the definition of subprime is very broad and would include many prime loans. The person pushing for a "narrower" cramdown bill, blocking the House version and reported to be writing his own? Some Senate Democrats, including Sen. Evan Bayh of Indiana, continue to push for ways to narrow the bill, encouraged by the banking industry, which says the legislation would drive up the cost of credit. 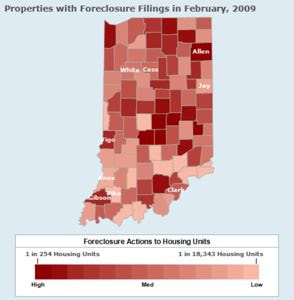 Indiana has a huge foreclosure problem (see map). It's estimated that giving bankruptcy judges the ability to write-down mortgages would cut the foreclosure rate by 20%, without any cost to the taxpayers. But Bayh doesn't seem to be responsive to that concern. I wonder why. . . .